Dmitry Borisov is the latest figure in the Russian authorities' case against anti-corruption protesters. Source: OVD-Info. This week, a new defendant emerged in the “26 March case”, the investigation into Russia’s anti-corruption protests. In Moscow, the authorities carried out a search at the home of Dmitry Borisov, a member of the grassroots Moscow-based Movement of the 14%. Borisov was then taken to the Investigative Committee for an identity parade and a face-to-face meeting with the police officer against whom he is accused of using violence. 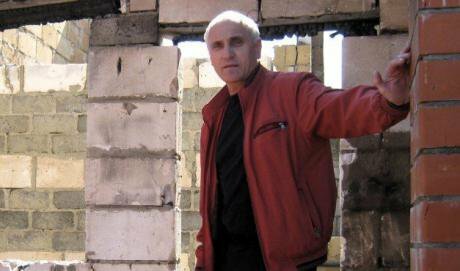 Borisov is now being held in the Petrovka temporary detention facility. Investigations of this kind are not only being carried out in Moscow, however. A protester who was present at the rally held on 26 March in Petrozavodsk is also suspected of using violence against a police officer. On Thursday, the Russian Interior Ministry’s Economic Crime Department searched the offices of Russia Behind Bars, an organisation that provides assistance to prison inmates and their families. As part of a preliminary investigation into alleged misappropriation of funds, the police officers examined the organisation’s financial documents, printed materials, external data storage devices and computers. A four-year suspended sentence was handed down to Natalia Sharina, the former director of the Ukrainian Literature Library who was accused of inciting hatred and enmity and misappropriating property assigned to her worth 2.2m roubles. Further details of the pleadings heard by the court before sentencing can be found here. We also investigated how and why libraries are being persecuted, and Boris Kupriyanov, CEO of Gorky.media and co-founder of the Falanster bookshop, talked about the response from the bookselling trade to the Sharina case. On Saturday evening, police arrested long-distance truckers who were drinking tea at a Moscow truck stop. Police officers asked the truckers to come out for a chat and then arrested them. Three of the truckers (Mikhail Kurbatov, Aleksei Borisov and Yury Bukanov) were taken to the police station, and the next day Borisov was taken to court from the truck stop by force, but was soon released with a summons. The long-distance truckers are protesting against the Platon road toll system, which is why they are being targeted by the police. Permission has not been granted for anti-corruption protests to be held on 12 June in many cities, and the organisers of these protests are being persecuted. Information on which protests have been permitted is available here. In Arkhangelsk, for example, the protest has been moved to Solombala Island, and the individual who submitted an application for the protest on 12 June in Novorossiysk was beaten up at the town hall and turned over to the police, and later detained for five days. We publish a letter from Andrei Osmachkin, a human rights activist and expert for the movement For Human Rights who has four criminal cases pending against him. Further details of the charges against him and past developments in the case can be found here. 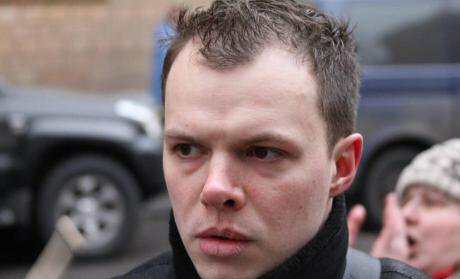 Andrei Osmachkin, the member of For Human Rights facing criminal prosecution in Lipetsk. Source: OVD-Info. We talk in detail about the case involving the nationalist Stanislav Zimovets, who is accused of using violence against a police officer at a protest on 26 March. He is the first of the defendants in the “26 March case” to refuse the examination of his case via the “special procedure.” The court is now examining the evidence submitted by the prosecution and the defence as well as other details of the events of 26 March in Moscow. We’ve collected and compiled all the available information on the protests held on 26 March, and Meduza published all this information in the form of a map. Between 36,149 and 89,832 people in 97 different cities took to the streets on 26 March in protests which the majority of local authorities refused to allow. A total of 1,675 people were arrested, and criminal cases were opened against seven of them. The map can be found here, and will be automatically updated with all the latest information. Thank you for your support, which allows us to carry on our work and continue providing assistance on a 24/7 basis. You can help OVD-Info to continue its activities here.